Meet Tomatan – a robot that sits on your head and feeds you tomatoes while you run. Who doesn’t need one of these?! Actually, Japanese vegetable juice company Kagome claims that Tomatan is super useful for long-distance runners, delivering fresh, nutrient-rich nosh to keep energy levels up. Those worried that the 8kg robot might impact on their personal best can opt for Petit-Tomatan, who weighs just 3kg. Food suspiciously vanishing from the fridge at work? Bullies pinching your kids’ lunch? 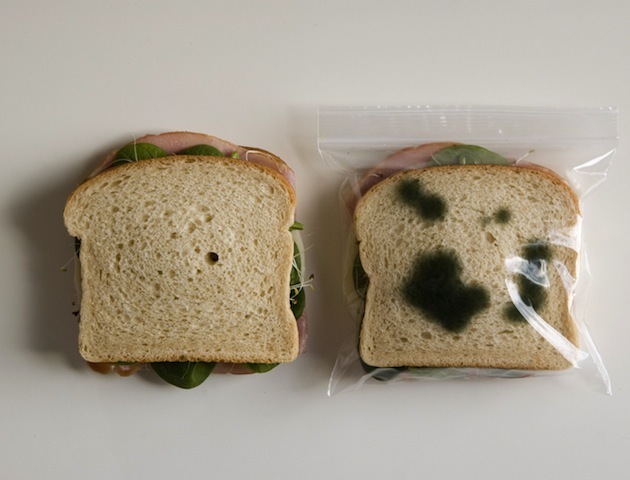 Well, worry no more, because now there’s this – the Anti-Theft Lunch Bag, featuring suspicious dark green splotches that’ll make lunch bandits think your tasty sarnie is coated in mould. That’s right, these supposedly exist – and may well help the wearer deflect unwanted attention while out and about. Or, for ladies with leg-hair envy, these furry tights could offer a shortcut to the ultimate natural look. 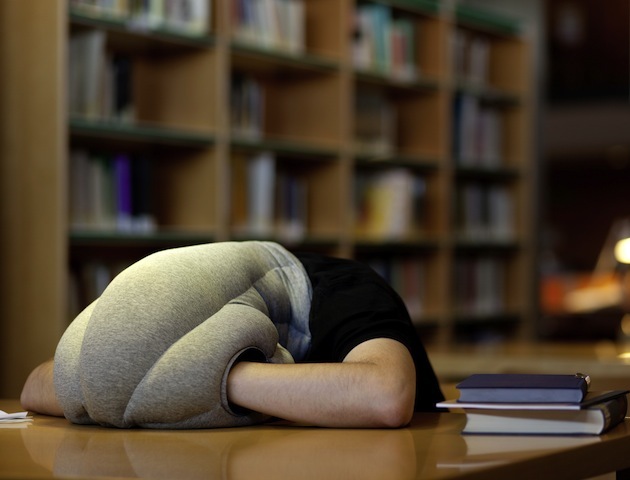 Billed as the perfect solution to taking a nap when you’re out and about, and resembling a cross between a pillow and a giant alien head, this quirky invention allows you to nod off on any surface. Simply lean back (or forward, whatever) and drift off inside your own fluffy little sanctuary. Trouble concentrating? Then this alarming invention from 1925 is for you. Although we reckon it’d be much more effective at inducing a heightened state of panic and claustrophobia. Complete with its own oxygen supply, the helmet blocks out all sound and features a tiny slit for you to peek through – effectively making you deaf and partially blind, as well as suffocating you if your oxygen runs out – but also blocking out all outside distractions. 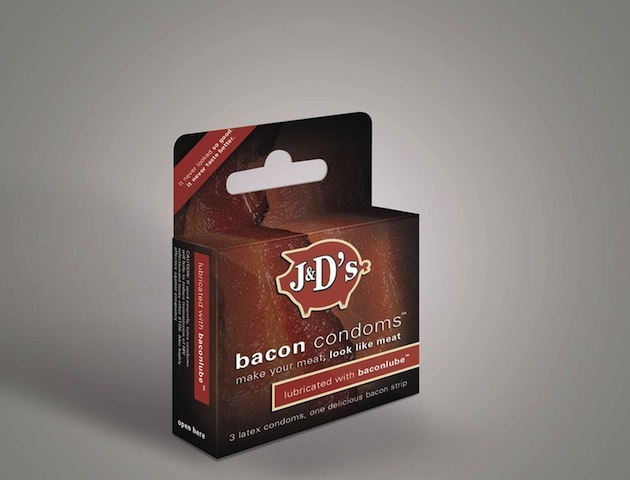 That’s right – it’s bacon condoms, and they’re made by J&D’s – the company that brought you inventions such as meaty-fresh deodorant, ‘For when you sweat like a pig.’ Nice! 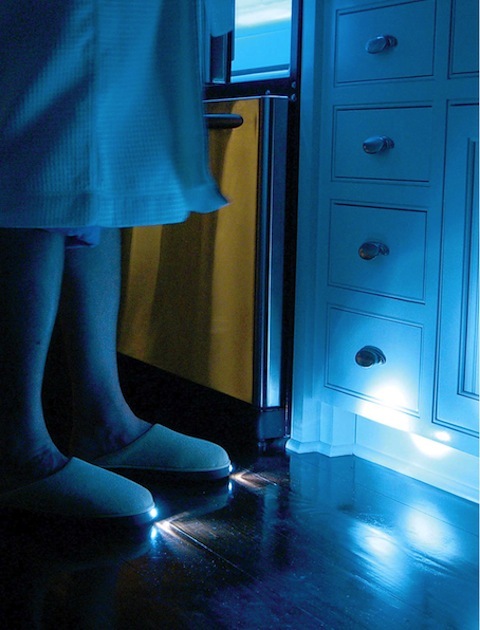 No longer must going to the toilet in the middle of the night be a dark and dangerous affair, thanks to these shining beacons of the footwear family. Simply slip them on to avoid smacking into furniture and walls, and reduce your chances of squashing the cat.